There is no doubt that theatre is one of the major nourishments of the soul and knowledge, for this reason we love that it is a leader in communication and marketing, too. The theatre Gayarre of Pamplona is a referent of the sector that, now, launches a campaign to get the theatre out of the compound to every home. 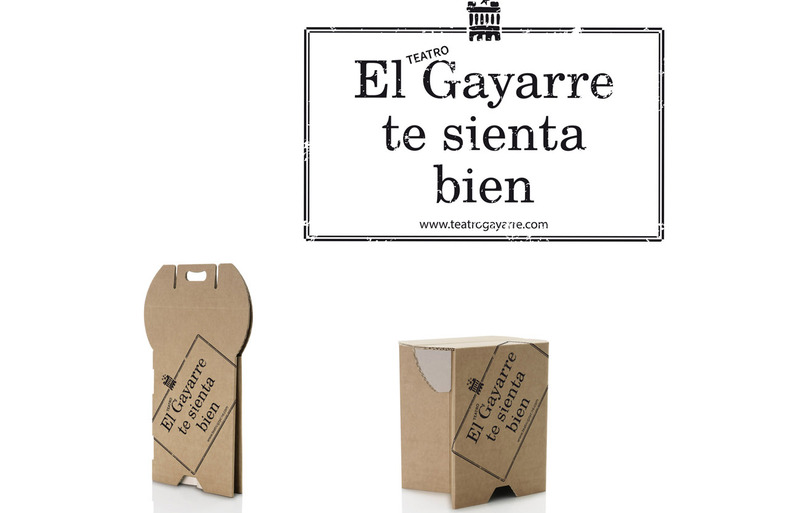 «The Theatre Gayarre suits you» printed on the Oportuno stools of Sanserif.es An accurate and friendly pun that arises from the own theatre and that it has been a pleasure to carry out.